Commodore Gaming – They are coming! 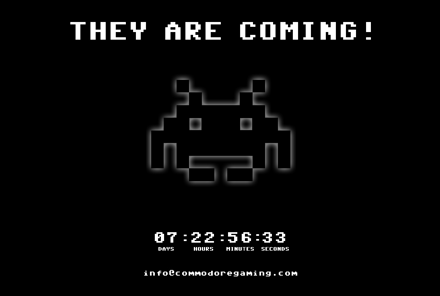 Commodore Gaming – They are coming! … apparently. Only two days to go now until we find out what it is. But I’m guessing that it’s not a Core 2 Duo-powered Commodore 64 with 4GB RAM, Crossfire graphics cards and a Datasette cassette recorder! Posted on Tuesday 13 March 2007 Monday 10 September 2018 Categories ComputerTags Computer, PC2 Comments on Commodore Gaming – They are coming! 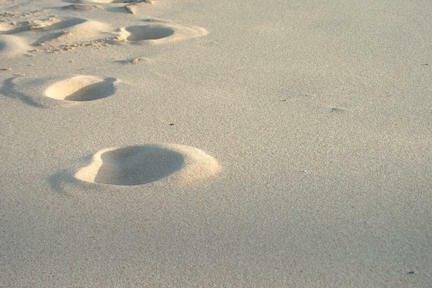 For some, Lent may feel like walking through a desert. During this week there has been a lot in the news about how dangerous it is to drive while using a mobile phone. Well, this morning I think I’ve found something even more dangerous. Twenty minutes later I was passing the spot I’d done a three-point-turn and once again en route for Newport-on-Tay, arriving with only seven minutes to go before the service began. Phew! That was close. When I graduated from St Andrews in 1993 I moved back home to my parents’ home in Selkirk, and worked in a textile mill (which, like many mills in the Scottish Borders, now no longer exists) in which I had also worked during summer vacations. It wasn’t the most glamorous of work, even though our end products would be shipped off to big designer names, such as Donna Karan New York, Yves Saint Laurent and the like. In fact, to be honest, I was often terribly bored. My jobâ€”you may not be surprised to discoverâ€”consisted of finding out how much yarn we had, of each type and colour, and shade, and batch. In a building that was about 15 times bigger than this one! I sometimes had help, like the time I got my cousin a job there. He sorted the cones and weighed them, I wrote the tickets and filled in the paperwork. After two weeks â€” two weeks! â€” he confided in me that he was colour-blind. After that I sorted the colours, he wrote the tickets. So if you have ever bought anything from DKNY or Yves Saint Laurent which claimed to be green and is actually red then you can blame my cousin Colin! I spent over eighteen months in that job. Day after day doing much the same thing. Much of it was mindless, or repetitive, or mindless and repetitive. At times I really resented being there: I was a would-be ordinand, this wasn’t in my plan. 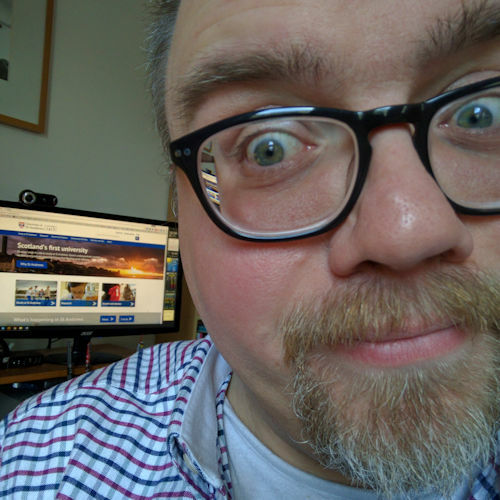 I’d done what was required of me: I’d been to university and gained a fairly decent degree in Practical Theology and Christian Ethics and now I was being told to wait. How unfair was that! I was periodically seeing the Director of Ordinands and he was telling me to wait. And not just for a couple of weeks, or months: wait for three or four years! He told me to find work in some area of youth-based social work, I couldn’t find a job locally in “youth-based social work” so I continued to take stock (in every meaning of the word). After about a year of stocktaking yarn I was getting incredibly angry at God. What did He think He was doing?! He knew I had a calling to the priesthood: He’d called me for goodness’ sake! So why was I stuck in this dead-end job, doing nothing about my calling? It was only much later that I realised that God was preparing me: God was teaching me patience. God was teaching me endurance through suffering, in what seemed like an endless desert. And most importantly God was teaching me to seek Him in the midst of everyday life. God could only do that when I was not distracted by anything else, when I had to trust Him for everything. I had spent all this time taking stock of yarn, but not taking stock of the really important things in my life. The mistake I was making was that I wanted my life of faith to be glamorous and heroic: a proud struggle against the powers of darkness, against temptations of the flesh, heroically being called out of ordinary life into an ordained life. What God showed me during that time, is simply the importance of our ordinary everyday lives; the importance of living our lives; that is, being attentive to who we really are â€” not looking ahead to some perceived better future, where the grass looks greener â€” but acknowledging who we are before God, not who we feel we want to be, not who we think others expect us to be, but who we really are now (faults and all) â€” fully inhabiting the space I am living in right now, and being attentive to where God is already at work there. and that we don’t really know who God is, and that there is something hidden deep inside us that wants to rebel against God. Taking stock of one’s life begins with an honest confession of who we are, a painful realisation, perhaps, that who we are now is not who we want to be. When I was a student for the priesthood, a wise theologian showed me that, in a very important sense, I do not want God. This is the only honest place from which to begin: we don’t actually want to begin at all. We do not wish to engage in what [Saint] Benedict calls the ‘labour of obedience’ (Rule of St Benedict Prologue). The process of facing this reluctance is the task of conversion. We cannot move on in our journey of faith if we believe that our way is better, that we know better than God. It is uncomfortable to acknowledge that. It is uncomfortable to begin to peel away the layers of the defences that we hide behind, and may have hidden behind for years, and step out naked and vulnerable before God. Like Adam and Eve we want to cover ourselves, to hide the shame we have for not being faithful to God. “To encounter the God, I begin to realise I do not know, I must be prepared to go beyond the contexts with which I am uncomfortable, and risk encountering the aspects of myself that make me uncomfortable. Lent can be that desert; if we allow God to encounter us there. I was never going to achieve what God wanted from my life if I tried to do it on my own. Which is what I was attempting to do in the mill. I had the arrogance to believe that I knew better than God, that I knew what was best for me, rather than simply trusting that God had a purpose for me being there. It was the custom for the newcomer to the monastery to ask a senior [monk] for a word to live by … [that is] somewhere between a rule of life and spiritual guidance. One such word left a certain determined newcomer dissatisfied. Anxious to live the life of the Spirit to the full, he had been advised by an elder to sit in his cell, to pray at dawn and to pray at dusk. Feeling that there must be more to it than this, he sought better advice from a second elder. But this time he was told to pray only once, and otherwise to keep to his cell. Now thoroughly discontented, the young man sought out a third elder. ‘Sit in your cell,’ the old man told him, ‘and your cell will teach you everything’. The young man clearly thinks he already knows the way; hence his search for someone who will tell him what he wants to hear rather than what he needs to hear. He has heard the call to conversion and wants to respond. He sets out on the way. The Desert Fathers knew that the first step on the path to repentance is to face the difficulty of actually being aware of one’s lostness, accepting the reality of the emptiness within [and facing the truth of our helplessness]. For some today that may be true. For others it may be closer to say: “O God, you are my God; eagerly I want to want to seek you”. Perhaps this Lent is, for you, a time for taking stock; a time for being at times, perhaps, painfully honest with God about who and where we are in our lives. If it is, then be encouraged that you are not alone in the desert. Jesus doesn’t wait for us to get ready for Him, He comes first to us and draws us to Himself just as we are. It is only then, in attentive awareness and praise of God that we are transformedâ€”not when we are trying to change ourselves, but when we allow God in to every area of our lives, and simply be before God. “O God, you are my God; eagerly I want to want to seek you”.